Rain, rain, go away, nobody likes you. You frizz up our hair, stain our leather shoes and make our wool jumpers smell funny. 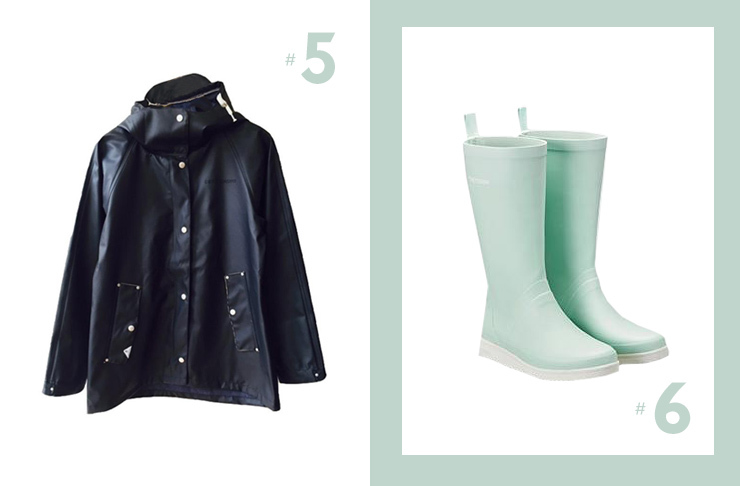 Until scientists figure out how to make rain fall only on choice places—you know, over water catchments, balcony veggie gardens, into the mouths of thirsty wild animals—we’ve found some wet weather gear so chic, you might find yourself actually enjoying a good downpour. Ask any mountain man and he’ll tell you that staying warm and dry in inclement weather is all about the base layers. 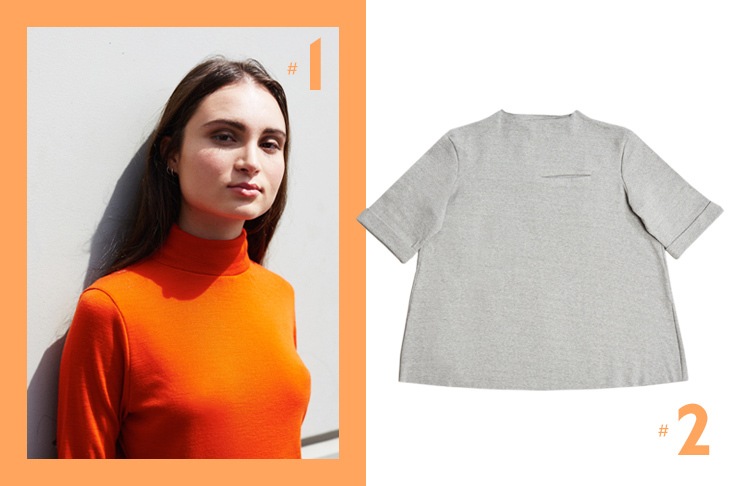 Sister Studios Laura Skivvy ($140) in tangerine Merino is the perfect stylish base layer. Insanely warm and highly visible, now there’s no reason why you can’t have function and fashion. If you’re a die-hard neutrals lover since forever, the Thursday Sunday Ribbed Tee ($195) is for you. This top is cotton, not Merino, so it’s not as warm, but its mock turtleneck game is strong, and for that we’ll forgive a bit of chilliness. There are lots of pants shapes going on right now: palazzo, culottes, those funny cropped flared jeans, but for wet weather, snug is the only way to go. Nothing else will fit in your boots, and if it doesn’t fit in boots, it doesn’t stay dry. Cheap Mondays’ Second Skin Jeans ($90) are coated denim deliciousness. We’re dubious about the waterproof properties of coated denim, but here’s something: if they’re already meant to look wet, and you happen to get soaked by a passing bus, no one will be able to tell that they’re actually wet. Then who’s the winner? It’s not all about function, folks. A patterned kimono, dress or robe peeking out from under your rain jacket gives a sweet punch of colour on a grey day. Staying dry is one part waterproof gear and one part keeping your spirits bright. This shift dress from Parlour X will do just that. Made in Sweden by a company that started out in 1913 making raincoats for fishermen, the Didrikson’s Ester Raincoat ($179) is a coat that knows what to do in wet weather. 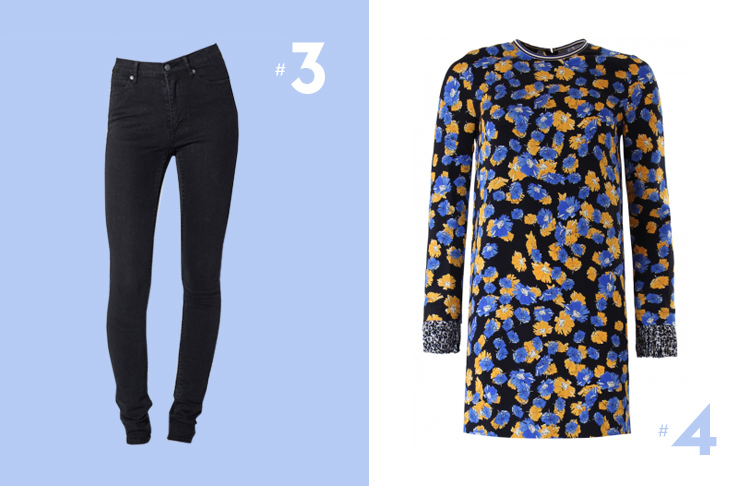 It’s lined with denim which ups the cool factor for sure, but we’re not sure what that does for warmth. All that waterproof gear would be for naught if your feet got wet. Tretorn boots are killer quality, and it doesn’t hurt the Vixen II rainboots in mint green look a bit go-go a la Austin Powers. Is it too soon to bring back “yeah baby” comments? Definitely yes. Ice on your wrist is good and all, but wet weather calls not for bling, but for a waterproof timepiece. 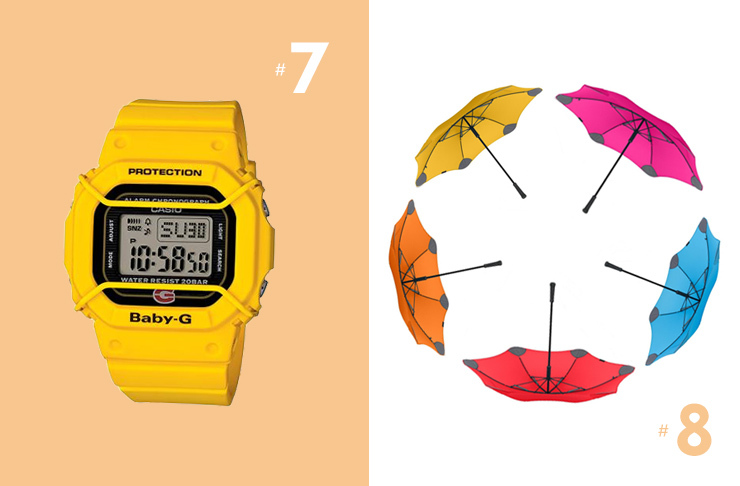 You already spent a fortune on your umbrella, so we found a bargain in the Baby G Origin Series ($106). It’s a watch, so it does all the things watches do—tells time, counts how many seconds you can sprint before throwing up—but mainly kind of freaks us out how awesome this watch looks, all yellow and retro. Some folks who were really annoyed by their umbrellas getting blown inside out sat down in a room for a long time and figured out how to stop that happening. Sure, people might gasp as the price of these Blunt Umbrellas, but who’ll be laughing in the next wind storm when your umbrella is perfectly intact and everyone else’s is all busted? NB: Please don’t leave this one on the train. It’s far too expensive to lose. If all else fails, forget about going outside until the weather clears. There’s enough delivery in this city to keep you fed, watered and your place decorated with fresh flowers so you can survive days of rain. The only things you need are your comfiest pyjamas and a giant knit Queen of Sheba throw ($989). It’s hand knit by the mum and daughter team known as the Woollen Collective, and they use metre-long knitting needles and a lot of muscle to make it.